Item number 379/12 from the MOA: University of British Columbia. 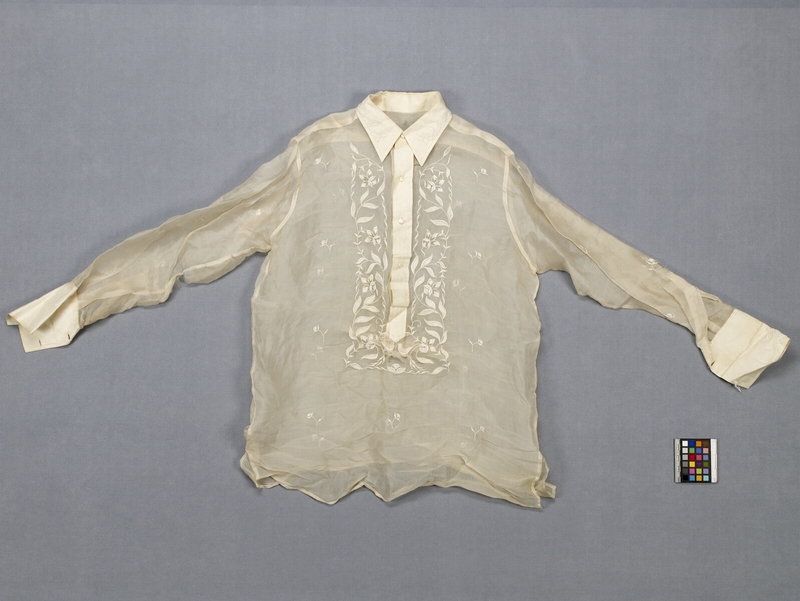 Sheer cream shirt with embroidery. The shirt has a collar, long cuffed sleeves and partial centre front opening with cream buttons. 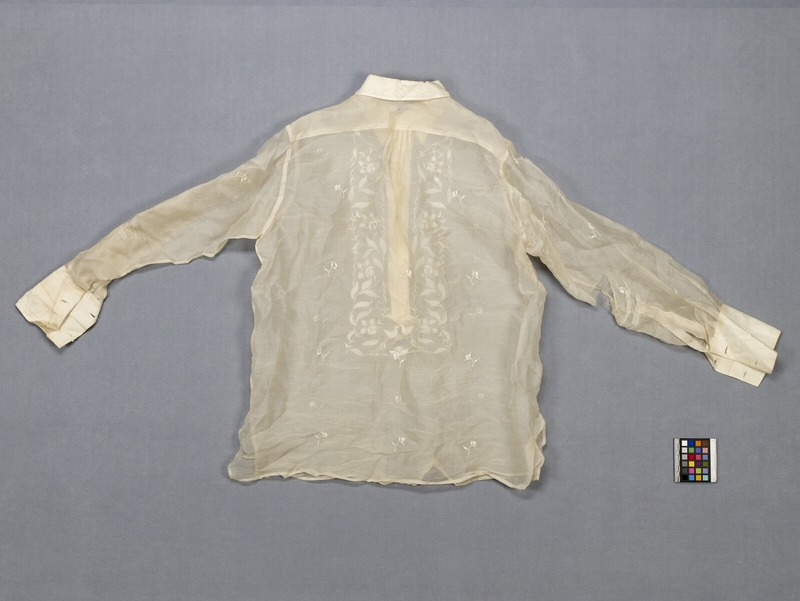 The embroidery is a floral motif in cream and white, around the collar, centre opening and cuffs. There is also scattered single leaf motifs embroidered overall. The inside is unlined.